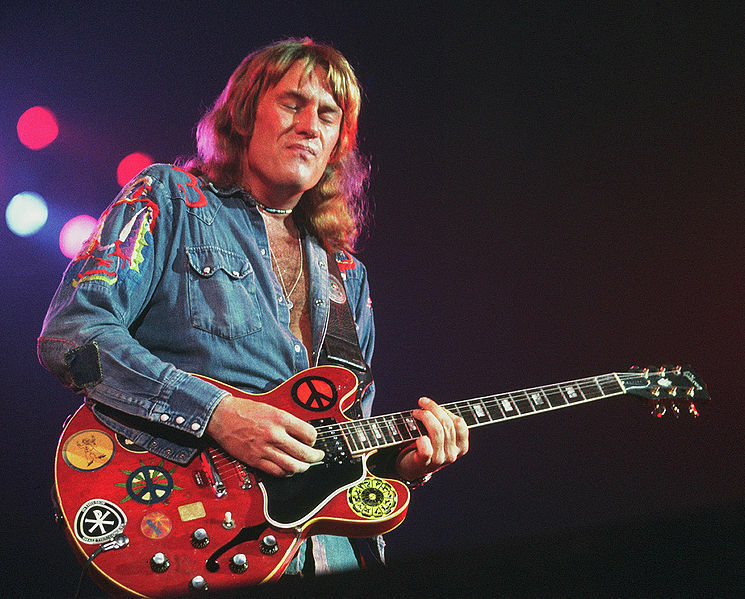 I hate to write another homage to another dead musician, but Alvin Lee, the legendary Blues Guitar player and founder of the band Ten Years After, died last week due to complications from a routine surgery. I have to write about him. He was too great to let this moment pass. These things run in threes. There are those that call this anomaly a “Trifecta” . Somewhere in heaven there is a rehearsal studio and Alvin Lee, Van Cliburn, and Reg Presley are all jamming together. Alvin Lee was an extremely underrated Guitar player. He rose to prominence in 1969 when Ten Years After was featured in the documentary film “Woodstock” His incendiary 11 minute jam on “I’m Goin’ Home” brought the house down. I never get tired of hearing it. 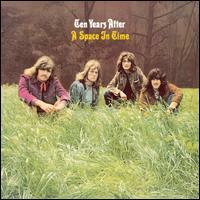 Ten Years After had 12 albums in the Billboard top 200. Although they only had one top forty hit, “I’d Love To Change The World” from their great album A Space in Time. I have always loved this album and since it contains Alvin Lee’s biggest hit, I thought I would post this album to my blog and share it with anyone who hasn’t heard it before. It’s a great one to own on vinyl. It sounds great, it’s kind of psychedelic, and it’s just great music. Here is “A Space in Time” in it’s entirety. All of the songs on this album were written by Alvin Lee except “Uncle Jam” that was co-written by the entire band. The technique of using electric and acoustic guitars in this song and the previous song shows the influence of Led Zeppelin. But still there is a lot of originality here. This song is the only Alvin Lee composition to make it into the top forty. It was #40 in 1971. These last two songs merge into each other. This song sounds so much like a lot of rock music that is coming out of Indie bands. What’s old is new again… Then side one ends with a classic rocker. I love this acoustic blues intro of this song. It sounds ancient, like it came from one of the original Mississippi Delta Blues players. This song has a typical R&B bass line and yet it is not typical in any other way. It also continues the “Spacey” sound of the record. There is a great “Trippy” guitar solo from Alvin in the middle of the song. This song also got some good airplay. It is a song about drug addiction. This song has a great sound and when Alvin Lee sings “I’ve been there too…” I believe him. The power chord chorus is great, as well. This song also gives you insight into how great a guitar player Alvin Lee was. The intro is almost jazz. This is exactly what the title implies…A Jam. There is some really great piano playing on this cut. So Alvin has left us, like Van Cliburn, and Reg Presley. He leaves behind his wife and daughter. My deepest sympathy for your loss. The sudden nature of his death could not have been easy. His music lives on and his memory should be preserved.